Dunlop and Srixon have joined forces, merging more than 100 years of experience with the precision of Japanese engineering. This combined expertise empowers us to develop a range of technically superior rackets perfectly adapted to your game. Trusted by Top-10 player in the world Kevin Anderson, Dunlop tennis rackets combine game-changing technologies with innovative designs to help you unlock your best tennis performance. Find the ideal Dunlop tennis racket perfectly suited for your game and see the difference in your play. Master the fast-paced game and explore Dunlop’s CX, CV, or CZ tennis racket series to select the right racket for you. Unleash your power game with Dunlop’s CV Series rackets. Recently awarded the Editor’s Choice Award from Tennis Magazine for Best New Line, Dunlop’s CV Series tennis rackets feature a modern “aerodynamic” style frame that is crafted for maximum power and spin. Enhanced with Sonic Core VG Technology, the CV Series tennis rackets allow you to play with greater power, while maintaining the comfort and control to dominate your opponents. Featuring six different rackets across the full CV Series line choose the right racket for your game so you can pack more power into every shot. 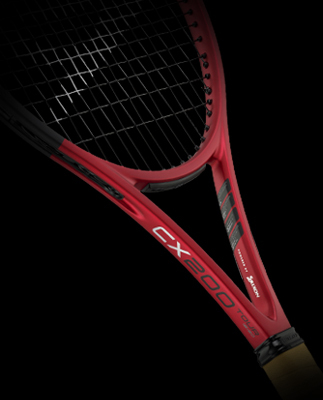 Keep your opponent pinned to the baseline with Dunlop’s CX Series rackets. Featuring a modern “box” style frame, the CX Series allows you to hit deep-driving shots, allowing you to dictate the pace of the match. Engineered for enhanced control, CX Series tennis rackets provide pinpoint accuracy without having to sacrifice any power or aggression in your swing. Relied upon by tour professionals such as Kevin Anderson and Agnieszka Radwanska, master your all-purpose game with the four different models in the CX Series racket line. 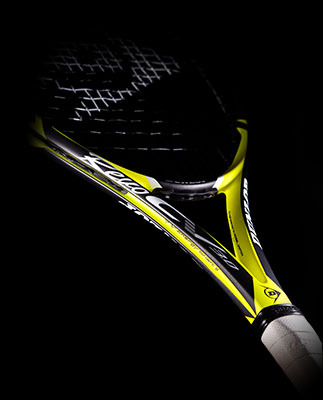 Play fast with the CZ Series racket line from Dunlop. Featuring a lightweight frame construction, the CZ Series provides the versatility and maneuverability to hit attacking shots for fast-paced play. Trusted in more than 30 professional events worldwide, Dunlop tennis balls deliver unmatched durability and reliable performance every time you step on to the court. Tour performance for highly skilled players, the Fort Tennis Balls from Dunlop outlast the competition. The “official” ball of the ATP Masters 1000 Series Events in Rome, Madrid, Monte Carlo, and Shanghai, the Fort line of tennis balls stay brighter longer for increased playability on any surface. The Grand Prix tennis balls from Dunlop provide consistent, long-lasting performance ideally suited for tournament play. Utilizing a specialized rubber core and a premium woven felt, the Grand Prix tennis ball produces a dependable ball relied upon by tournament directors everywhere. Offered in three different models, the Championship tennis balls from Dunlop provide dependable performance for every level of player. Choose from All Surface, High Altitude or Hard Court and experience the dependability of the full line of Championship tennis balls.